In a recent New Product Development lecture I gave at Tec de Monterrey, I expanded on my previous examples about consumer-centric innovation. In past lectures I’ve emphasized how most successful new products address a consumer need, pain-point, or desire, whether articulated or unarticulated. I also discuss how engineers (the field that kicked-off my career) have a tendency to innovate or design for the sake of invention vs. with consumer or market needs in mind. A question arose in the past – is that always a bad thing (to create something just because you can). My response was no (with a caveat), and I used Twitter as an example. The first time I met Biz Stone, co-founder of Twitter, was at a tech conference at my alma mater, UC Berkeley in 2009. During his keynote address, he talked about some of the criticisms of Twitter when it first launched. The main criticism he faced was that Twitter served no useful purpose. Mr. Stone’s response (quoted loosely from memory) was “Ice-cream has no useful purpose either – does that mean we shouldn’t have created ice-cream?”. Needless to say, Twitter has been tremendously successful since it’s founding in 2006 with roughly 271 million active users (out of over 500 million total worldwide users) today. The reason for Twitter’s success is that it satisfied latent and mostly unarticulated needs of most of its users. Companies and brands discovered an almost costless tool for marketing compared to other media. They could now directly communicate with consumers about their products, services, and brand offerings, while also hearing directly from them to address consumer issues and continue driving innovation through new and improved products that leverage the voice of the consumer. 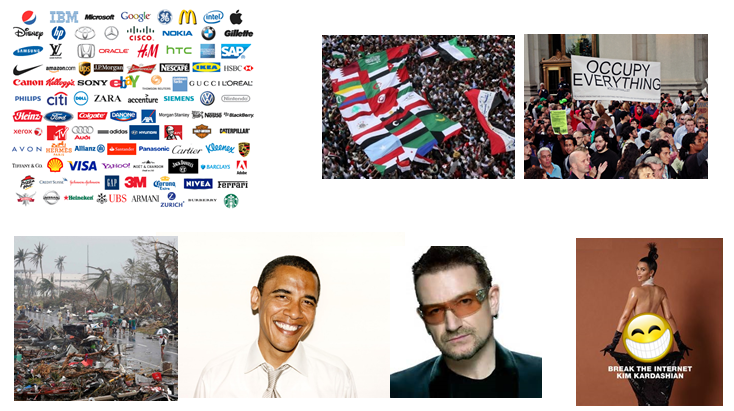 The Arab Spring and Occupy Wall Street were largely coordinated through Twitter, as organizers and protesters didn’t start off with a direct connection to each other. In the case of disaster relief, Twitter was used to provide information to emergency response teams, find lost loved ones, and provide real-time situational updates. Politicians use Twitter to speak and hear directly from their constituents and launch/promote their election campaigns. Music artists announce music and concert information directly to their fans. And celebrities, of course, continue to build and promote their own personal brands through Twitter, with a direct line of communication to their fans. 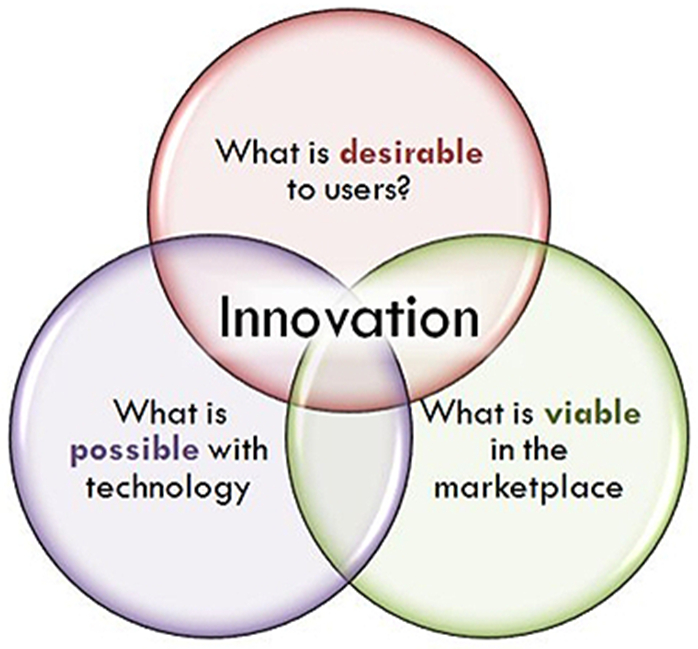 One of the best definitions I’ve seen of true innovation is perfectly captured in the Venn Diagram below; true innovation comes at the intersection of consumer desirability, market viability, and technological feasibility. So while Twitter may have just started as an exercise in showcasing what could be possible, the reason for its success is that it also satisfied the consumer and market variables as well. This is, of course, far easier to accomplish when the product in question is a platform and its ultimate utility will be determined by developers and users over time. It’s much harder to accomplish as a stand-alone product. (For this reason I predict the “Yo” app, which has received similar criticism to what Twitter received in the beginning, will not be much of a success). So while certainly feasible to have a success just by focusing on technology, it’s certainly not the most efficient way of innovating. I also talked about the Pet Rock as a separate example, which I’ll expound on in a separate post. This entry was posted on December 7, 2014, 5:19 pm and is filed under Business, Marketing, Products. You can follow any responses to this entry through RSS 2.0. You can leave a response, or trackback from your own site.